Remaining rural until the 1930’s, this North Manchester village, its name literally meaning the clearing in the dark wood, was an area of deciduous woodland and formed part of the manor of the Lords of Manchester. Home to Boggart Hole Clough and parts of Heaton Park, its position on the River Irk attracted the bleaching and dyeing industries and its Hexagon Tower became the headquarters of ICI. The name of Blackley is said to derive from ley, leag, Leah, meaning field or pasture and blac, bleac, baec, literally black or gloomy. 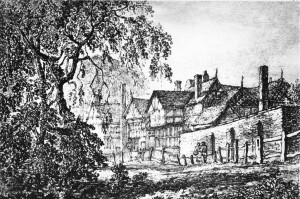 The Hall survived until 1815 when it was bought by William Grant who along with his brother Charles were said to have been Dicken’s model for the Cheeryble brothers of Nickolas Nickelby. They built a print works in its place. There was an oratory at Blackley as early as 1360, probably the origin of the chapel existing in 1548, St Peter’s which was rebuilt in 1736, though the current building dates from the middle of the nineteenth century. 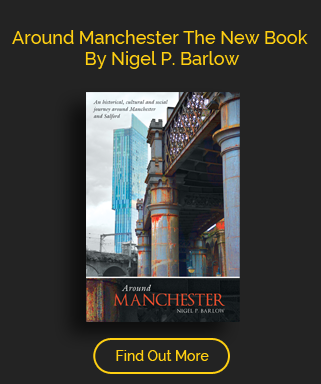 The village avoided much of the spreading of industrial Manchester, though by the end of the nineteenth century its population had grown from 2,300 at the start of the century to over 9,000, Blackley was incorportated in the City of Manchester in 1890.